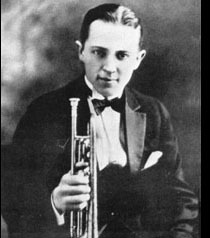 Geoffrey Smith’s Jazz (midnight Saturday, Radio 3) looks at the work of the legendary Bix Beiderbecke (pictured). On Sunday afternoon over on Radio 4 (1:30pm) there is a repeat of a half hour documentary – The Jazz Ambassadors of the Cold War – presented by Julian Joseph looking at the US State Department’s sponsored tours taking the great names of American jazz behind and beyond the iron curtain. Fiery Inspiration: Amiri Baraka and the Black Arts Movement reassesses the impact of politically aware cultural activities in America and their resonance here in Britain. The first of two programmes, tune in at four o’clock, Monday, Radio 4. Two blues items of note; Liz Kershaw (BBC 6 Music, Saturday, 1:00pm) meets the man of the moment, Mr Robert Cray and over on BBC 4 Extra on Monday there are no fewer than three opportunities to hear John Mayall’s Blues Adventures at 6:30am, 1:30pm and again at 8:30pm. Google box watchers will, no doubt, want to tune into a quick repeat of Len Goodman’s Dance Band Days on Wednesday, BBC 2, 11:15pm (first shown on BBC4).